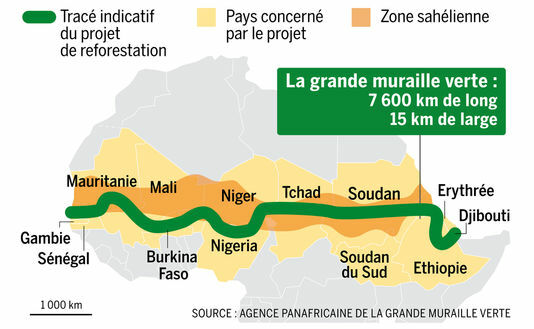 Home » Life » Conservation and remediation	» The Great Green Wall: a hope for greening the Sahel? The Great Green Wall: a hope for greening the Sahel? The Great Green Wall of Africa (GGW) is a pan-African initiative to combat desertification in the Sahara Desert and the Sahel. Originally conceived as a massive tree plantation crossing the African continent from west to east, the GGW has evolved into a set of restoration projects aimed at environmental and human well-being. Given the stated environmental and social objectives, researchers from all disciplines have an important role to play in pooling their expertise to guide the decisions of the institutions managing the project. 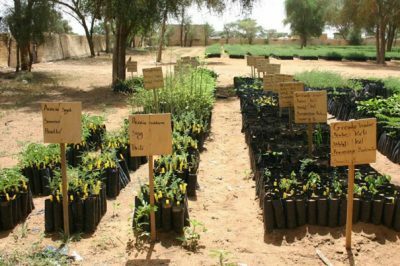 While the GGW is no longer a simple wall of trees as originally envisaged by political actors, plants and re-vegetation remain at the heart of the project because, more than anywhere else, the people of the Sahel depend heavily on plant resources to meet their daily needs. 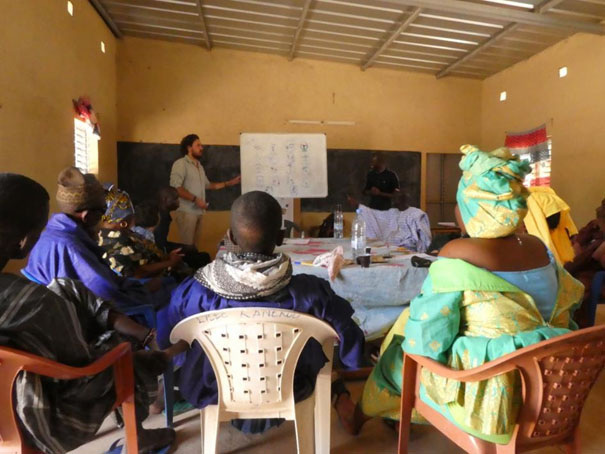 The challenge is to find a balance between the protection and sustainable use of plant resources in a Sahel undergoing social and ecological transformation. The Sahel is considered one of the most vulnerable areas on Earth. It is a set of ecosystems made up of steppes and shrubby savannah with trees crossing the African continent from west to east and marking the eco-geographical transition between the Sahara desert in the north and the Sudanese zone in the south. These ecosystems, which are largely dedicated to pastoralism, are highly vulnerable due to anthropogenic pressure and hydro-climatic instability in the area. It is in this highly restrictive context that the Great Green Wall operates, a key element in the fight against desertification (Figure 1). It covers a band where rainfall is 100 to 400 mm/year. In this Sahelian zone identified as one of the world’s “hotspots” of climate change , the expected consequences are particularly alarming with predictions of a temperature increase of 3-6°C by 2100 . Low annual rainfall is the main obstacle to the reintroduction of biodiversity through reforestation. Rainfall occurs for a short period of time (mainly from July to September) in the form of intense and sporadic events. Rainfall is also characterized by high inter-annual variability leading to droughts: between 1970 and 1993, the area experienced several crisis situations with dramatic consequences . 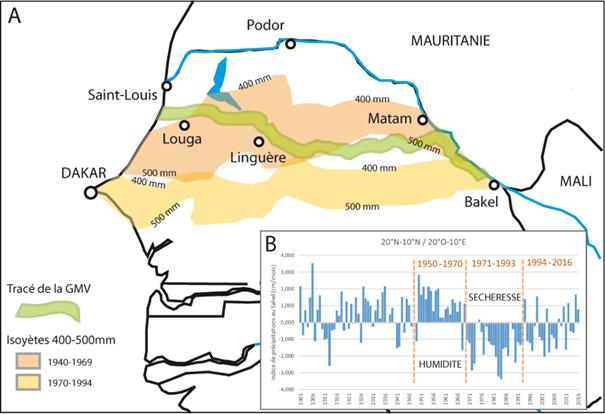 For example, in Senegal, the area receiving 400-500 mm of precipitation annually moved about 200 km southward when comparing the periods 1940-1969 and 1970-1994, which resulted in a sharp decrease in rainfall at the latitude of the GGW (Figure 2A). In addition, as shown by the rainfall index in the Sahel (Figure 2B), three wet decades followed twenty-three abnormally dry years (1971-1993). 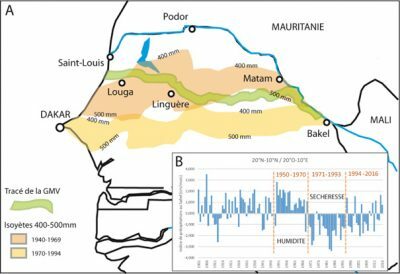 Since 1994, the rainfall situation in the Western Sahel has become more favourable again, but not similar to that of the first half of the 20th century. Climate change could lead to a more extreme climate with more severe droughts and more intense but less frequent precipitation . This persistence of a deficit of rainfall events, combined with an increase in heavy rainfall, typically corresponds to a more extreme climate characterized by both more severe dry periods and heavier rainfall when it rains. Since its adoption, the GGW has evolved towards a more realistic vision and a more appropriate response to regional challenges. It now takes the form of a series of restoration actions carried out on a landscape scale and which are geographically linked in order to respond to the environmental and socio-economic well-being of Sahelian populations. 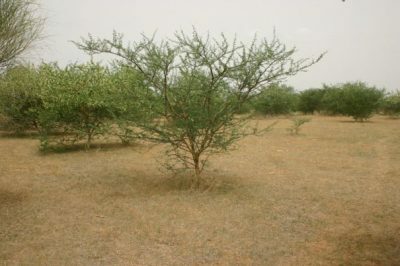 Since its inception, GGW has been highly diversified: fencing plots to allow natural regeneration of trees and protection against overgrazing, installation of community gardens managed by women, animal reserve projects, development of beekeeping… However, “reasoned reforestation” and plant resource management remain one of the essential levers for greening and preserving the environment in the Sahel. They are part of a context where large-scale reforestation is clearly a global issue. For example, “The Bonn Challenge” aims to restore 350,000 million hectares of deforested land by 2030. As an action of the GGW, reforestation also meets the sustainable development objectives set by UN Member States. Its objective n°15 consists in particular in “preserving and restoring terrestrial ecosystems, by ensuring their sustainable use, sustainably managing forests, combating desertification, halting and reversing the process of land degradation and halting the loss of biodiversity” . To meet its ambitions, the GGW must integrate knowledge from a wide range of scientific disciplines into the decision-making process. For example, the apparent homogeneity of Sahelian landscapes can lead to simplistic and stereotypical interventions (reduced number of solutions). However, in reality, the Sahelian zone is rather a mosaic of landscapes composed of socio-ecosystems that are intertwined in space. To manage natural resources, we must therefore consider not only the biophysical components of ecosystems but also the human components, as well as the complex interactions that exist between the two. It is all these interactions that determine the identity of the socio-ecosystem. Knowing socio-ecosystems and their functioning requires interdisciplinary study, with researchers then becoming full-fledged actors in the construction of GGW through the transfer of their research results to managers . Even if GGW’s actions have diversified over time, vegetation research is still at the heart of the solutions to be proposed, one of the criteria for quality reforestation being primarily the degree of biodiversity of the plantations. Biodiversity loss is a major global concern . Because of its spatial ambition, the GGW has a role to play in reversing the trend on the scale of the African continent. At the local level, Sahelian populations are highly dependent on woody biodiversity to provide them with ecosystem services to meet their daily needs for food, health, fuelwood, construction wood, etc.). However, in a large part of the Sahel, the biodiversity of woody species is in decline: to give an order of magnitude, in the Six Drilling Sylvo-Pastoral Reserve (northern Senegal) where a CNRS Human-Media Observatory has been set up to monitor the socio-environmental impacts of GGW, only 20 species belonging to 13 families have been recorded . Figure 3. Trees selected by the GGW, grown in nurseries close to the plots where they will be transplanted, are all Sudano-Sahelian species present in variable abundance in the area [Source : Photo © J-L Peiry, 2014]. the conditions for the establishment of species are far from uniform despite the apparent similarity of eco-geographical conditions along the route. Figure 4. Workshop initiated by researchers with local populations to identify ecosystem services related to plant resources, their different uses and the preferred areas where they obtain their supplies [Source: Photo © H. Mazzero, 2017]. While on the most difficult sites very few species resist, on others the woody species likely to succeed are much more numerous, which would increase the biomass produced and biodiversity. This research also provides technical information to improve species survival rates (age of plants at transplanting, seed origin, transplanting conditions, for example by protecting the young plant by mulching and adding organic matter). These experimental sites thus constitute open-air laboratories in which the other components of the ecosystem (plants, animals, insects, etc.) and climate parameters can be monitored to measure the overall impacts on the “modified ecosystem” resulting from reforestation. Figure 5. GGW plantation of Acacia senegal near Widou Thiengoly (-15.262953°; 15.979199°). Eight years after the reforestation operations that took place in 2008, the trees are maturing for the first bleeds and harvests of gum arabic [Source: Photo © J-L Peiry, 2016]. While it is important to diversify the species along the GVM route, it is also essential to better valorise the species that thrive naturally in the area. Of the twenty commonly listed woody species, four are of the genus Acacia. The environmental added value of acacias results in their ability to fix atmospheric nitrogen by specialized and symbiotic nodules in the root system. This nitrogen fixation contributes to restoring the fertility of the very poor soils of the Sahel (Read Ces plantes qui vient de l’air du temps). Acacias are often used in agroforestry practices, an agricultural practice that combines cultivated plants with tree vegetation for mutual benefit. 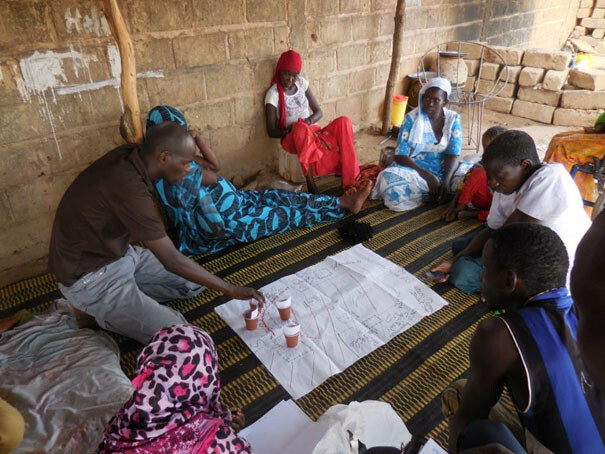 Among them, Acacia senegal, has strong economic hope for the abundance and quality of its gum arabic production (Figure 5). Figure 6. Grouping of Balanites aegyptiaca. The species is so well adapted to the harsh Sahelian conditions that it often dominates the Sahelian wooded landscape very strongly [Source: Photo © J-L Peiry, 2014]. Among the species counted, another tree is almost unanimously used as a reforestation species in all the countries crossed by the GGW: it is the Balanites aegyptiaca, the “desert date”. The species is of unparalleled robustness in arid areas, and as a result dominates the landscapes of the Senegalese Sahel, representing up to 50% of the woody population in some areas . It owes its success to its capacity for reproductive and vegetative regeneration, even under the most hostile conditions. Morphologically, the desert date palm has very small, tough leaves with a thick, waxy epidermal layer and chlorophyllous assimilating shoots reduced to thorns, all to avoid excessive perspiration (Figure 6). The characteristics of the root system are equally spectacular. It develops very quickly, even during the first dry season after transplanting the young plant into the ground, while at the same time its aerial parts develop much more slowly. Root morphology has a dual system that is very structurally efficient: lateral roots grow near the soil surface, catching even the slightest surface rain; while a taproot grows deep, allowing access to deep water reserves . Balanites aegyptiaca is not only robust, but according to ethnobotanical studies, it is also the woody species considered most useful by local populations. They use it mainly for food, medicine, firewood and construction . Its importance for mankind is not recent: its uses are mentioned since the time of the 12th dynasty of Egypt, about 4000 years ago . Today, if all parts of the tree are appreciated, it is above all the fruit that brings socio-economic hope. The pulp is of great nutritional value compared to other tropical fruits: it is rich in K, Ca, Mg, Fe, and Zn . The almond contains up to 50% good quality oil, rich in unsaturated fatty acids (linoleic and oleic acids). If the oil is edible, it is also found in some cosmetic products, but much more discreetly than argan and shea butter . Today, the sale of Balanites aegyptiaca fruits is subject to informal local trade, but the species is far from reaching its economic potential. While research has led to a better understanding of the environmental and genetic factors dictating the economic interest of the species (fruit size and nutritional value, oil content of the almond), significant efforts still need to be made to enable Balanites to contribute significantly to the incomes of Sahelian populations. Figure 7. Evaluation of the results on a plot planted by the GGW in 2008 (675 ha, 15.968327° N ;-15.246496° E) using SPOT 6-7 images provided by the GEOSUD Teamx. Two contrasting situations were used: 1) an Infrared/Green/Blue (A) image taken in the wet season shows the photosynthetic activity related to the development of the herbaceous mat and, through appropriate statistical treatment, identifies spatial contrasts in soil moisture (B); 2) the panchromatic image taken in the dry season (C) allows young trees to be seen as soon as the surface area of their crown exceeds 4m2, thus making it possible to measure in space the success of reforestation operations (D) [Source : © J-L Peiry, 2018]. There is little chance that the Sahel will turn into a Garden of Eden, but regreening is progressing slowly in the area . The support of scientists for GGW actions contributes to strengthening the phenomenon, by allowing their evaluation with solid scientific data and by contributing to the debate on the actions to be undertaken . 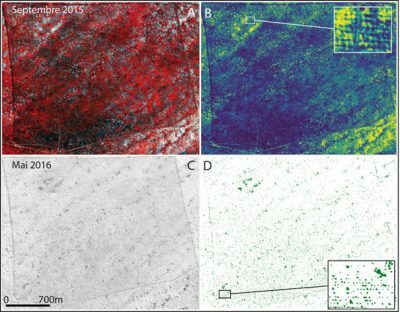 use these results prospectively to identify and select new areas where future reforestation actions can be carried out with a good probability of success (Figure 7). Finally, in an attempt to reduce the vulnerability of populations to recurrent crises in the Sahel, scientists are studying socio-ecological resilience and attempting to identify ways to improve it. Through collective work, researchers and stakeholders (governance actors, environmental managers, local populations and researchers) are encouraged to share their knowledge and points of view. Together, they examine natural resource management, social dynamics, practices and local production systems. The ultimate goal of the approach is to collectively define a set of objectives for a fair and sustainable development that combines the improvement of people’s living conditions and the preservation of the environment. Their work takes into account the complexity of socio-ecological systems, the aspirations of local populations, social and environmental constraints, and proposes the most appropriate natural resource management. The concrete actions resulting from these collective dynamics must give socio-ecological systems greater resilience, i.e. improve their ability to resist future disruptions, to adapt actively (or even proactively) to them and thus to prosper in a sustainable way. Currently, a new generation of “resilience assessments” protocols is being implemented. These protocols share the same principles: on the one hand, interdisciplinarity because all social and environmental dynamics must be considered; on the other hand, active engagement of the actors concerned because taking into account their knowledge and expectations is necessary for relevant and appropriate development (Figure 8) . The Sahel area is subject to severe hydroclimatic and anthropogenic constraints that make it highly vulnerable (soil erosion, desertification, biodiversity loss, malnutrition). Subjected to unprecedented population growth and the negative consequences of ongoing climate change, its vulnerability is bound to increase in the future. At the same time, its capacity for resilience is strong, provided that appropriate actions are taken. State-of-the-art methodologies and modern research tools demonstrate this potential, particularly in terms of increasing biomass and biodiversity. 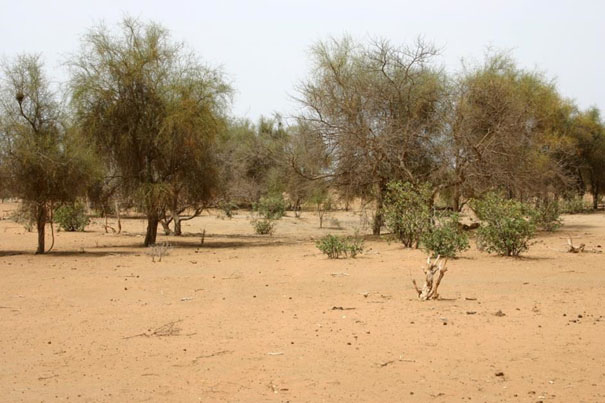 The Great Green Wall and its various actions are an effective lever to improve the situation in the Sahel, provided, however, that all stakeholders, including researchers, managers and local beneficiary populations, are closely involved. New development protocols are currently being scientifically tested using an interdisciplinary and collective approach involving researchers, affected populations and GGW practitioners. They aim to identify new sets of actions to increase people’s ability to adapt to ongoing changes and to generate new resources, while managing their environment in a balanced and sustainable way. Cover image. Aerial view of the first reforestation plot of the Great Senegalese Green Wall, 9 years after the first transplants of Acacia senegal carried out in 2008 [Source: Photo © J-L Peiry, 2017]. DIFFENBAUGH NS, GIORGI F (2012). Climate change hotspots in the CMIP5 global climate model together. Climatic Change. 114(3-4):813-822. doi:10.1007/s10584-012-012-0570-x. NIANG I, RUPPEL OC, ABDRABO MA, et al (2014). Africa, in: BARROS VR, FIELD BC, DOKKEN DJ et al (Eds. ), Climate Change 2014: Impacts, Adaption, and Vulnerability. Part B: Regional Aspects. Contribution of Working Group II to the Fifth Assessment Reprot of the Intergovernmental Panel on Climate Change. Cambridge University Press, Cambridge, United Kingdom, pp. 1199-1265. PEIRY J-L and VOLDOIRE O. (2019) Climate framework and water resources in the Senegalese Great Green Wall area In: BOETSCH G, DUBOZ P., GUISSE A., SARR P. and. (Ed.). The Great Green Wall, an African response to climate change. CNRS Editions, Paris. ROCKSTRÖM J, STEFFEN W, NOONE K et al (2009) A safe operation space for humanity. Nature 461: 472-475. SAGNA MB, NDIAYE O, DIALLO A, GOFFNER D, GUISSE A (2014) Biochemical composition and nutritional value of Balanites aegyptiaca fruit pulp from the Ferlo region in northern Senegal. Afr J Biotechnol 13: 336-342. To cite this article:	GOFFNER Deborah, PEIRY Jean-Luc	(2019), The Great Green Wall: a hope for greening the Sahel?, Encyclopedia of the Environment, [online ISSN 2555-0950] url : https://www.encyclopedie-environnement.org/en/life/green-wall-hope-greening-sahel/. The articles of the Encyclopedia of the Environment are made available under the terms of the Creative Commons Attribution - No Commercial Use - No Modification 4.0 International license. PEIRY Jean-Luc, Professor at the Université Clermont Auvergne, on secondment to the CNRS, UMI3189 Environnement, Santé, Sociétés, Dakar, Senegal. Edwin ZACCAI, Doctor in environmental sciences, civil engineer physicist and graduate in philosophy.